A field experiment was carried out during rabi season of 2016-17 to evaluate the effect of different levels of PSB and KSB on and nutrient uptake, quality parameter and economics of popcorn (Zea mays L. Var. Everta). The experimental results revealed that application of 45 kg P2O5/ha + PSB seed inoculation + PSB soil application promoted enhanced biochemical parameters viz., leaf chlorophyll content, protein yield and nutrient content, grain P content, fodder N and P content in grain and fodder, it leads to enhanced N, P and K uptake, P and K use efficiency and ultimately gave higher grain yield (3452 kg/ha) and straw yield (5300 kg/ha) with higher net return (₹ 40018 ha) and B:C ratio (2.11) over the control. Application of 45 kg K2O/ha + KSB seed inoculation + KSB soil application enhanced quality parameters viz., leaf chlorophyll content, protein yield and nutrient content, grain and fodder N, P and K uptake, P and K use efficiency and resultantly gave higher grain and straw yield of 3476 and 5295 kg/ha, respectively along with higher net return (₹ 40695/ha) and B: C ratio (2.14) over the control. 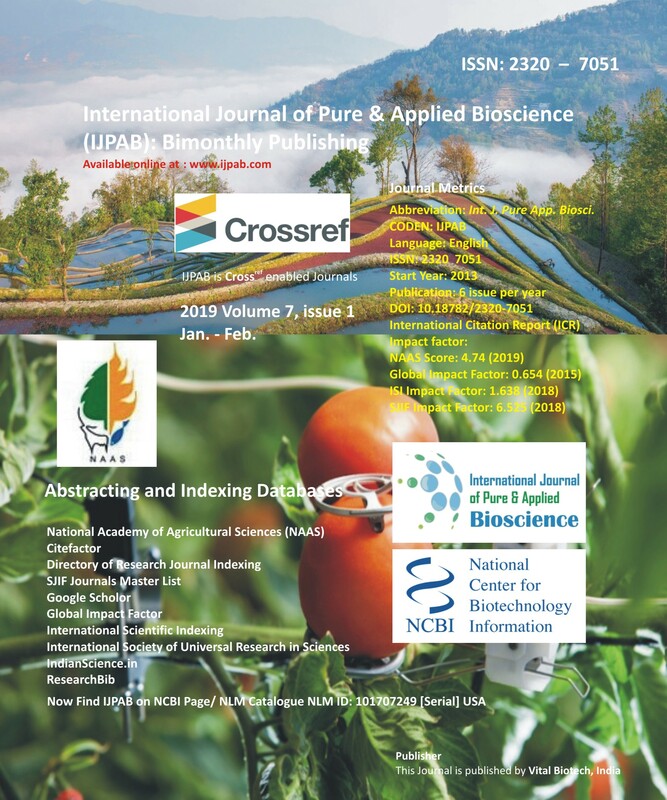 It could be concluded that seed inoculation and soil application of PSB and KSB enhanced microbial count in soil which is capable for solubilizing insoluble form of nutrient and enhanced nutrient uptake and saving of 25% fertilizer dose of phosphorus and potash. Key words:Popcorn, (Zea mays L. Var. Everta), Phosphate solubilizing bacteria, Potash solubilizing bacteria, Nutrient uptake, Quality parameter, Net return, B:C ratio.